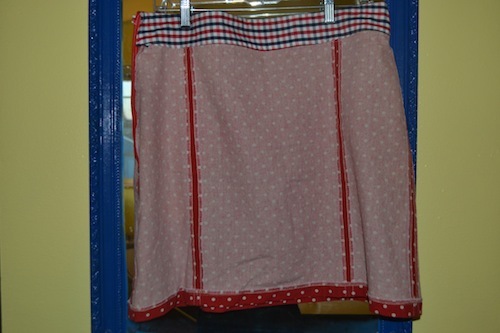 For this skirt I decided to go with something pretty simple again with a couple small details to add visual interest. 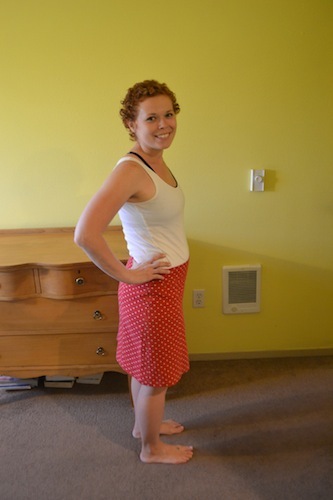 For starters I chose to use a hip to hem flare of only 6 inches this time. 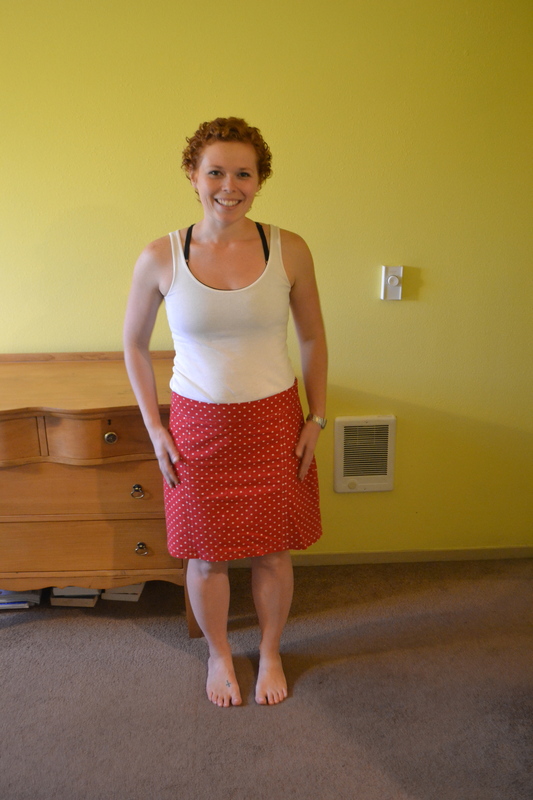 Because I am so short and am not an overly curvy person the straighter skirts are more flattering on my body type. Secondly I split the front and back panels into thirds. In doing so I inserted the invisible zipper on the side and decided to sadly skip pockets this time around. Because of the multiple panels and zipper location I didn’t see away to add pockets with out adding bulk and making it looking goofy. 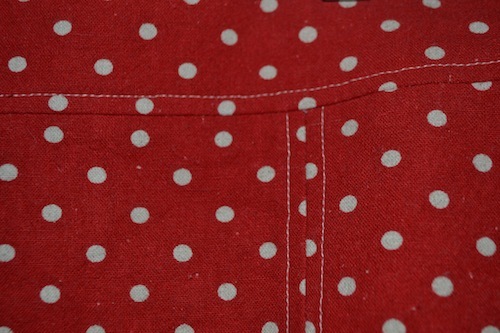 Lastly I added visible top stitching on the panels and waistband. I think it add just enough personality without going overboard so it screams “homemade”. This is definitely a time that I am glad that I thought a head and serged the sides of the panels prior to assembly. Everything came together so much cleaner than it would have otherwise. Thank goodness for the invention of the serger!